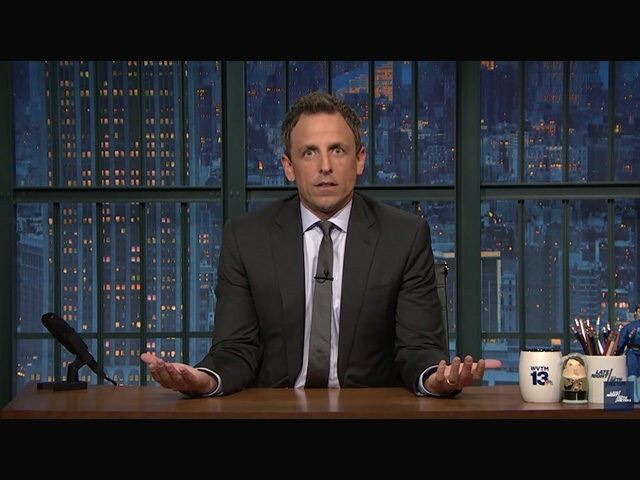 Seth Meyers used Tuesday night’s episode of Late Night to scold and mock diehard Bernie Sanders supporters, who have protested against the coronation of Hillary Clinton as the Democratic presidential nominee at the Democratic National Convention in Philadelphia this week. “I don’t know which class you ditched to go to those Bernie rallies, but I have a feeling it was history,” the Late Night host said. Meyers also took time to dispel the popular notion that million of Americans won’t actually vote for a former reality TV star as president of the United States in November. In the segment, Meyers also included footage of a Sanders supporter with tape over her mouth, ostensibly to symbolize that she has been silenced by the DNC and the Clinton campaign. Meyers and Trump have feuded publicly for years. He relentlessly mocked Trump’s presidential ambitions in 2011 at the White House Correspondents’ Dinner. “Donald Trump has been saying he will run for president as a Republican, which is surprising, because I just assumed that he was running as a joke,” Meyers quipped. A few years later, Trump returned fire and blasted Meyers for being named to host the 2014 Emmys. Last month, Meyers officially banned Trump from Late Night. Meyers wasn’t the only one to humiliate Sanders supporters for their enthusiasm during the convention. On the first day of the proceedings, comedian Sarah Silverman also admonished Sanders holdouts during her speech.